Christmas is right around the corner and the festive season got even better as the Royal family released this year's Christmas cards. The cards will consist of Duke of Cambridge, Prince William and Duchess of Cambridge, Kate Middleton pictures along with their cute children Princess Charlotte, Prince George and Prince Louis. The family portrait was taken at their Norfolk home. In the picture, the family is seen sitting on a tree trunk in the grounds of Anmer Hall, with Kate holding their eight month old child, Prince Louis of Cambridge. Cute little Princess Charlotte stands in between her parents, while her brother Prince George is in a cheerful mood standing behind his father. 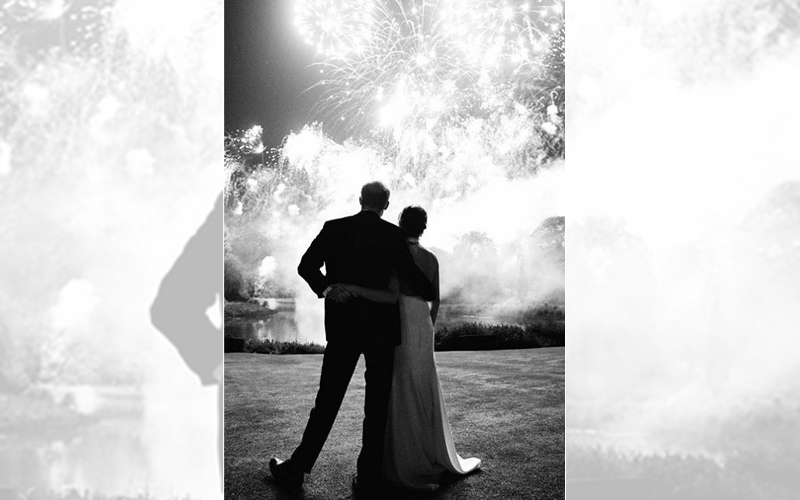 Duke of Sussex, Prince Harry and Duchess of Sussex, Meghan chose a picture of the couple from their reception at Frogmore House for the card. Prince Charles and Duchess of Cornwall, Camilla also released their pictures for the holiday card. They are seen sitting on a bench and gazing at each other.